Transparency International is in crisis. The organization needs to cut costs and restructure its international secretariat in Berlin. At the same time, Transparency is fighting against its workers council in the local courts. In a bid to ease tensions, Transparency has also now made changes to its leadership. Transparency International sees itself as the flagship of the global fight against bribery and the corrupt elites who are hiding their wealth in offshore companies and tax havens. But internally, Transparency does not live up to the principles it champions. The organization is doing business with corrupt companies, as CORRECTIV uncovered last year, and camouflages income in its financial reporting in a way that renders public scrutiny of the accounts impossible. The current court case in the Berlin labour court highlights the difficulties Transparency has in dealing with its own staff. The organisation is currently restructuring its Berlin-based international secretariat. The secretariat is the backbone of the global organisation, supporting the national chapters in their work. But over time, a number of well-paid executives have assembled near the top during the tenure of managing director Cobus de Swardt, who has been at the helm of Transparency for nearly a decade. This week, the South African national has lost some of his responsibilities to a newly-appointed second managing director, according to information obtained by correctiv.org. To cut costs, Transparency sought to flatten hierarchies and cut staff. The organisation’s workers council attempted to strengthen employee rights by establishing a so-called finance committee (German: Wirtschaftsausschuss). Such a committee can for example demand management to disclose certain financial information. Transparency’s management is trying to prevent the formation of this committee, even filing a legal case against it. The action taken by Transparency’s management takes place against the background of some fundamental details of German labour law. In its fight with the workers council, Transparency attempted to declare itself a ‘tendency’ operation (German: Tendenzbetrieb) in the Berlin labour court. In other words, an organisation that fulfills certain social tasks or is politically active. Churches or publishing houses are ‘tendency’ operations. Employees of these organisations enjoy less protection against lay-offs than normal companies. They can, for example, be fired for their political views. Another advantage from the employer’s point of view: their workers’ council is not allowed to establish a finance committee. 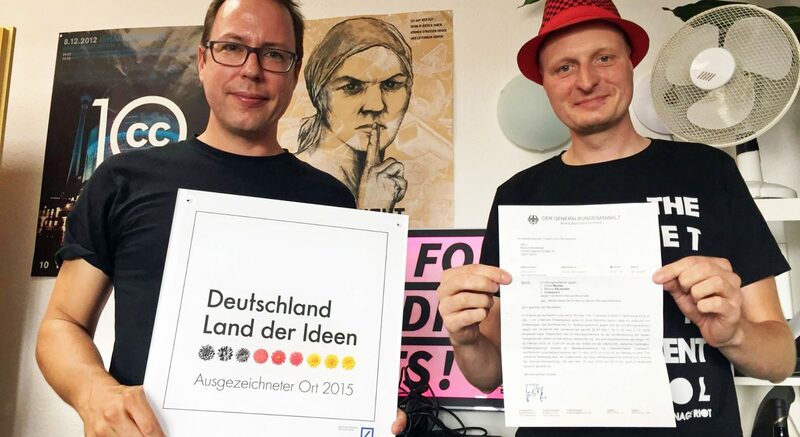 The Berlin labour court in July rejected Transparency’s claim of being a ‘tendency’ operation. Transparency has lodged an appeal against the judgement, the court’s spokeswoman told correctiv.org. Transparency’s managing director Cobus de Swardt has been demoted in a bid to ease tensions. The atmosphere at the international secretariat had been dangerously soured. In an apparent bid to ease tensions, there have now been changes at the top. Transparency confirmed to CORRECTIV that Lucas Olo Fernandes has been appointed as interim managing director in charge of the restructuring. The duties of MD de Swardt have been reduced to strategic planning and representing the organisation. Fernandes, who is from Equatorial Guinea, previously oversaw Transparency’s work in Central Africa. One bone of contention in the internal squabbles at Transparency is the payments made to a number of executives for additional homes maintained outside of Germany, according to current and former employees. Transparency confirmed the payments had taken place but declined to provide further details. During a meeting at the beginning of the month, Transparency is said to have announced additional staff reductions. The internal atmosphere has reached a point that some employees thought management would go as far as using lay-offs to prevent the workers council to form its finance committee. Such a committee can only be formed at organisations with more than 100 employees. As recently as this summer, Transparency’s staff in Berlin numbered over 150. In a statement to correctiv.org, Transparency said it had taken matters to court in an attempt to seek clarity over its legal status in principle. It said the workers’ council finance committee was fully operational. The workers’ council on the other hand declined to answer questions, saying that negotiations with management were ongoing. Transparency appears paralysed amid the fighting over staff and cost cuts. In the Berlin labour court, the workers council argued that the international secretariat simply functions as a self-serving bureaucracy while the actual work is done at the national chapters. It said there was nothing to suggest that Transparency is implementing its current five-year strategy. In addition, Transparency needs to cut costs. Last year it posted income of 27 million euros. People familiar with the organisation say it now faces a funding gap of several million euros. The main reason is a reduction in funding by the British government. Transparency said in its statement to CORRECTIV that it is facing some budget challenges but did not elaborate further. Global anti-corruption activists will have the opportunity to discuss all this during the next round of the International Anti-Corruption Conference (IACC), which starts December 1. Transparency is selling the conference, which takes place every second year, to governments, including those that seek to improve their tarnished reputations. For this year’s conference, Transparency has chosen a particularly fitting location: the tax haven Panama. After its huge bribery scandal, Siemens agreed to settle legal proceedings against it by funding anti-corruption work. Siemens uses these funds to finance the Austria-based International Anti-Corruption Academy (IACA). But the academy does not allow outsiders to scrutinize its finances. 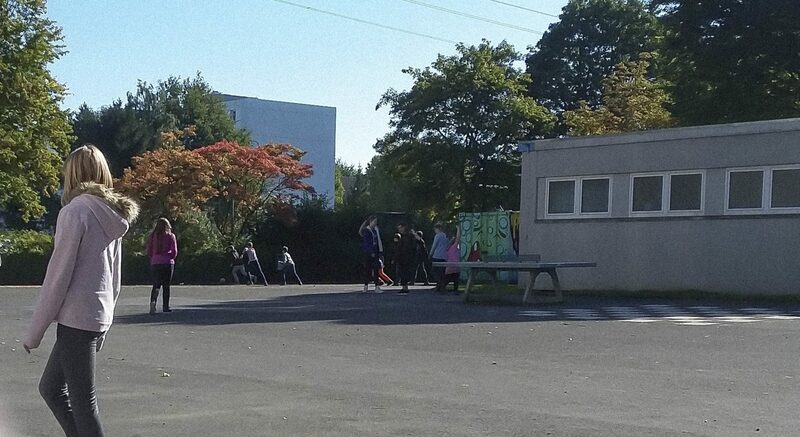 A joint investigation by CORRECTIV and the Austrian weekly magazine “News” has revealed evidence that a local old boys’ network is pulling the academy’s strings – while its other supporters are mostly authoritarian governments with poor anti-corruption records. After its bribery scandal ten years ago, German industrial giant Siemens settled with law enforcement in several countries by paying substantial fines. As part of its efforts to move on, the company struck a deal with the World Bank: Siemens agreed to fund anti-corruption activities, to the tune of $100 million over 15 years. The „Siemens Integrity Initiative“ was supposed to fund organizations fighting corruption. The goal was to create an environment in which companies can do business without relying on bribery to win orders – in Central Asia, for example, where authoritarian governments give little thought to transparency. 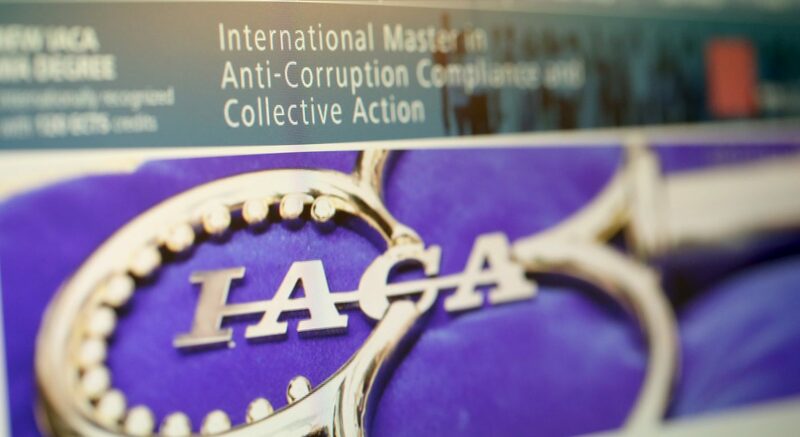 One of the projects funded by Siemens is the International Anti-Corruption Academy (IACA), established in Vienna in 2011. The IACA’s funding sources, however, show that the Siemens Integrity Initiative does not live up to its own standards. 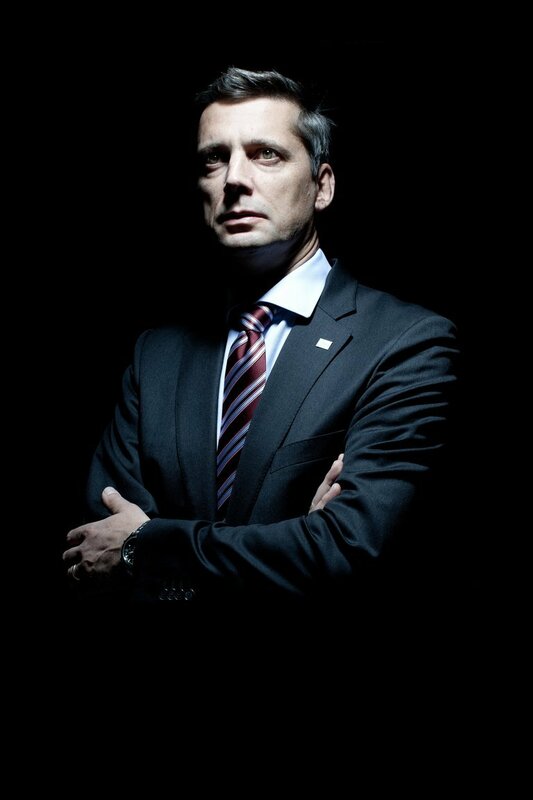 The IACA is surreptitiously run by Martin Kreutner, a former military officer and former official at Austria’s interior ministry. Major aspects of its finances are kept under wraps. Members of a local patronage network are occupying key posts. The activities of some of its members are now of interest to Austrian prosecutors, as this investigation reveals. It is the kind of circle that that the Siemens initiative was meant to thwart, instead of back. 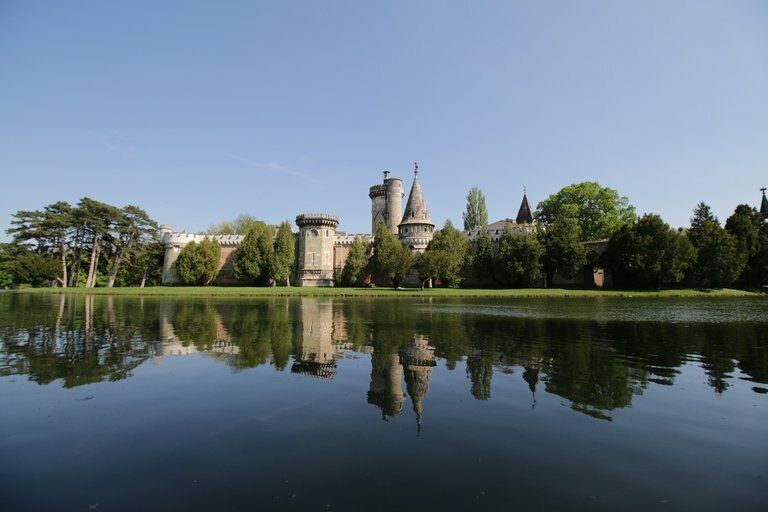 Dark waters: Austria has renovated a palais for IACA at Laxenburg outside Vienna. What is the IACA? The academy is located just outside the Austrian capital of Vienna at a palace in Laxenburg, the former summer capital of the Habsburg dynasty. 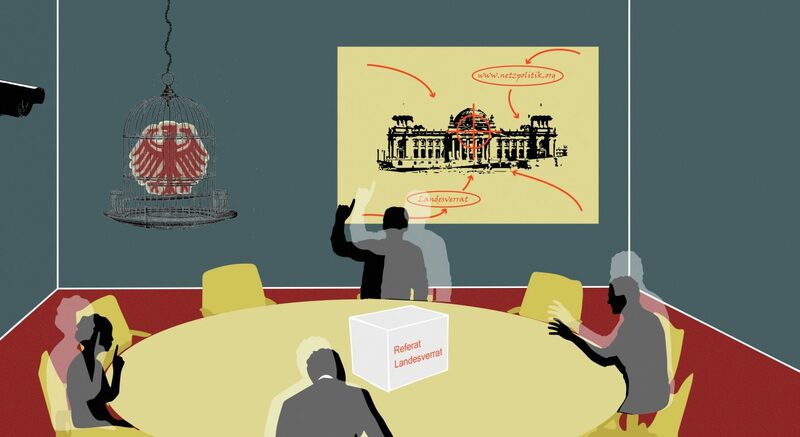 Austria spent 11 million euro to help refurbish the IACA’s palace, where it offers summer classes as well as a masters’ program for anti-corruption experts from around the world: Prosecutors, lawyers, and audit court officials are taught how to investigate and prevent corruption. The best recipe against corruption is very simple: transparency. This measure should, in particular, be applied to institutions teaching others how to work above board. Institutions such as the IACA. But despite repeated requests, the academy has declined to publish audited financial reports. The public is unable to verify how IACA is spending its funds, how much money it has at its disposal, and whether independent auditors are checking its accounts. It’s a level of secrecy unheard of amongst organizations fighting corruption. A spokesman for the IACA offers a curious explanation: the academy cannot publish its financial audits because the IACA’s member states should be the first to see them. But they’ve never requested them, the spokesman said. The IACA works much like UN organizations: States become members by ratifying the organization’s charter. IACA has over 70 member states who are supposed to finance the academy. But in fact only about two dozen nations contribute to IACA financially, according to the sparse financial information available on its website. That includes countries where corruption is a hallmark of the political system, such as Russia and Azerbaijan. They seem to be keen to improve their reputation by contributing to IACA. But most countries are paying only small amounts, in the tens of thousands of euros at most. It is also unclear whether IACA finances are independently audited. Moreover, IACA’s sponsors are involved in choosing its financial auditors, a conflict of interest. Of its three international auditors, one is chosen by Russia. But there seems to be a lack of candidates: two Russian auditors were recalled after a short time span at IACA. The IACA’s academic operations also show a disturbing proximity to authoritarian regimes. Of about 30 students participating in one of the IACA master classes, five came from Azerbaijan, an IACA sponsor. The central Asian country is ruled with an iron first by strongman Ilham Aliyev. A large part of its economy is under his kleptocratic control. Criticism and transparency are not wanted. The Azerbaijanian group included a prosecutor working for the authority that jailed journalist Khadija Ismayilova with trumped-up charges. Ismayilova had investigated Aliyev’s assets, a key activity in anti-corruption work. Other participants in the program were shocked to find themselves next to officials of the Aliyev regime in IACA’s classroom, witnesses said. Musayev gave the classes’ graduation speech, lauding the Austrian Count Clemens von Metternich, the politician who battled the remnants of the French revolution in 19th-century European politics. IACA seems to have no qualms working with kleptocrats and held one of its annual member states’ meetings in Azerbaijan. Several persons with knowledge of IACA attribute the lack of transparency to Martin Kreutner’s management style. They say he is running the academy in a strict, surreptitious, top-down manner. Employees need to justify everything they do but have hardly any insights into IACA’s finances themselves. Some well-known academics left IACA after just a short stay: at IACA, they do not seem to find the level of openness and freedom they are used to. Nobody involved with the IACA was willing to be quoted, fearing repercussions. While there is only sparse financial information available on IACA’s website, Kreutner’s craving for recognition can hardly be overlooked. Its press releases and image galleries largely consist of Kreutner’s meetings with the ambassadors of IACA member states. The message: IACA is comparable to an international UN organization. In reality, it’s Austria where Kreutner’s name is now surfacing for the second time in relation to a scandal. Kreutner, the Austrian representative to IACA’s board, and a local tax advisor all had links to a real estate fund that is now under investigation by Austrian anti-corruption prosecutors, as this investigation reveals. It seems all three are connected, which raises serious questions about corporate governance at IACA, which is partially tax-funded. 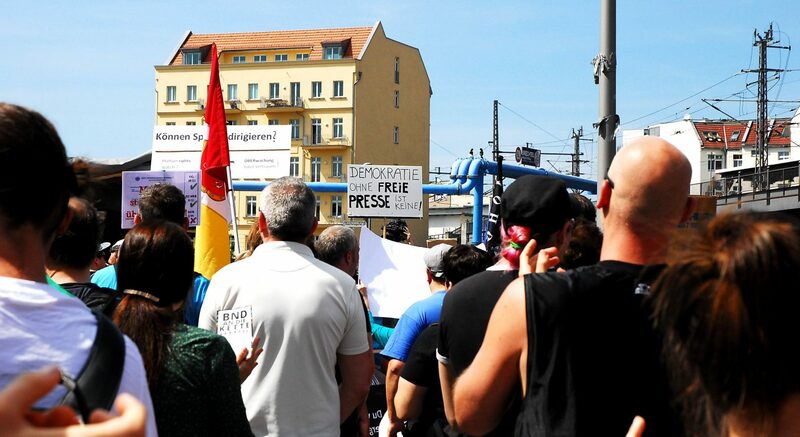 According to a 2015 report by the Austrian courts of auditors, a fund connected to Austria’s ministry of interior sold off about 200 flats too cheaply, undercharging by six million euros. Prosecutors are investigating these transactions. As early as 2007, the ministry’s fund had the idea to hire consultants to advise it on how to prevent corruption and set up a proper governance system. It paid them 60,000 euros, according to the auditors’ report. But one of the experts already worked at the ministry of interior: Martin Kreutner. A second expert was Hermann Feiner, who now represents Austria on IACA’s board of governors. An official is involved in a project paid for by his own ministry? It’s an odd arrangement. Investigators for Austria’s Federal Anti-Corruption Bureau have recently thrown up the question whether sufficient services were rendered to the fund in return for the consultancy fees. Asked about the fund, Kreutner only said that he gave lectures to several state offices as part of a corruption-prevention framework and that he never received any compensation from any fund. He also said he never had a „business relationship“ with IACA board member Feiner. Feiner, who today works at Austria’s ministry of interior, did not respond to questions. Kreutner and Feiner are not the only connections between IACA and the fund. It is a network that emerged around Austria’s former Interior Minister Ernst Strasser. The politician of the Austrian conservative party ÖVP was sentenced to three years in jail in 2014 as a Member of European parliament in a bribery case. Part of this environment is also the former tax advisor of the fund based at the ministry of interior. He has also been working for IACA. The tax advisor bought one of the flats that is now of interest to state prosecutors. None of the three are targets in the investigations. There are no allegations of wrong-doing. Kreutner said that he met the tax advisor only once. Kreutner responded to questions about the IACA’s lack of transparency and its links to authoritarian regimes only summarily. He said that all IACA projects were audited by independent auditors. „In a short time span, IACA has won international recognition despite scarce resources and support by its members states that leaves much room for improvement“, he said. Could Siemens have known that links would surface between key IACA figures and Austria’s scandals? At least the company – which is probably IACA’s most important sponsor, given how little the members states pay in comparison – needs to ask itself why it works with an institution as opaque as IACA. A spokesman for Siemens said that IACA has provided detailed information on how it spends the Siemens funding. In at least one instance, Siemens also demanded more transparency of IACA. Siemens had initially funded the academy with about USD $2 million. After its first encounter with IACA’s reporting procedures, a Siemens employee wrote an email to IACA’s Kreutner, asking whether IACA could improve its transparency, as was the case with other recipients of Siemens funding. „We are of the opinion that transparency is important for the credibility of organizations that have subscribed to the promotion of ethics, integrity and the fight against corruption“, the e-mail read, in part. In particular, the Siemens employee asked for a more detailed breakdown of IACA’s staff costs. Siemens nevertheless increased its funding for IACA during the second funding round of its Siemens Integrity Initiative to USD $5 million. The Siemens employee also told Kreutner that projects funded by the initiative should lead the way in voluntarily disclosing information. This can certainly not be said of IACA. 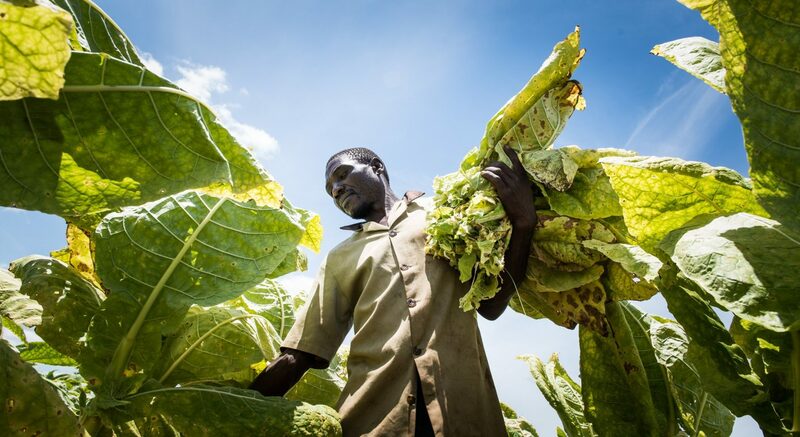 In its fight against corruption, Transparency International has long called for better protection of private sector employees and government officials who blow the whistle on mismanagement and corruption. But only recently Transparency International learned firsthand the difference between theory and practise in the protection of whistleblowers. Whistleblowers play an important role in the fight against corruption because bribery occurs in a shady world away from public scrutiny. When bags stashed with cash change hands or slush funds are channelled through chains of shell companies registered in tax-havens: one of the few opportunities to uncover corruption may be a leak from the inside of a company or a government office. This is why whistleblowers are important to Transparency International (TI). Founded in Berlin in 1993, the non-government organisation is at the forefront of the global fight against corruption. TI lobbies governments to improve legal protection for people who disclose secrets in the public interest. But a former TI employee tells a story that casts doubt on the organisation’s own whistleblower efforts. Anna Buzzoni says she and some of her colleagues wanted to blow the whistle on questionable practices within TI, but her report fell on deaf ears. The internal review and its results were not transparent to the whistleblowers, she said. In the end, Buzzoni and others whistleblowers left the organisation in frustration. „I felt isolated“, she recalls. TI denies its organisation lacks whistleblower protection, although it confirmed some of the internal issues. In 2006, after discussions with partner organisations, TI founded the Water Integrity Network (WIN) to improve transparency in the water sector. Clean water is a fundamental need and corruption and mismanagement in the water sector have a direct impact on the population worldwide. WIN initially was not established as a separate legal entity but instead was part of TI’s Berlin-based secretariat, functioning as one of the organisation’s programs. The allegations entirely fall within the time when WIN was still part of TI. WIN today is an independent organisation. In 2012, a TI manager proposed registering WIN in the Netherlands in order to make the project eligible for funding from the Dutch government. Any organisation that already receives funding from the Dutch government for its core operations – as was the case with TI – can not receive additional project funds intended for one of its programs. The funding was therefore supposed to flow through a foundation in the Netherlands, an empty shell specifically created for this purpose. Unfortunately the structure resembled shell companies, that are often favored by money launderers to cover their tracks. A foundation was established in the Netherlands in September 2012, in a hasty and ill-planned manner, documents reviewed by CORRECTIV show. The problem was quickly identified by TI’s legal department, which warned that this foundation structure could put TI’s non-profit status in Germany at risk. But the TI executive as well as some members of WIN’s international steering committee continued their efforts to establish WIN as a Dutch foundation. WIN was no longer to be just a post-box company in the Netherlands but to completely move its offices there. To move things along, the manager began negotiating for office space. Some of WIN’s donors – which included the government of Germany, the Netherlands and Switzerland – preferred to preserve the close association between WIN and TI. They felt presented with a fait accompli and were concerned about the lack of transparency. In June 2013, the steering committee, under pressure from some donors – including the German ministry for economic cooperation and development – decided to suspend the efforts to establish WIN in the Netherlands and instead create an association in Germany. This put WIN in a precarious position. The organisation had spent about a year on establishing itself as its own legal entity, instead of focusing on its mandate. Late in 2012, WIN risked running out of money as the Dutch government funds did not come through as anticipated, documents show. In fall 2012, some of WIN’s employees, who were formally employed by TI, had had enough. They wrote a whistleblower report to TI’s ethics committee seeking a formal avenue for resolving these problems. Their purpose was to put an end to what they saw as mismanagement. In their view, the row over the future legal form of WIN had paralysed the organisation’s work. The whistleblowers also accused the TI manager of blurring the lines between business and private interests. According to the allegations, the manager had tried to channel benefits – small sums – to his family. When WIN moved to a new office, the executive tried to award the transfer of the IT servers to his brother. TI’s legal department intervened. He also involved his wife during some TI events. An internal cost breakdown suggests that his wife billed 131.83 Euro for the use of brushes and paint. The document also points to a flight in her name. A unit that sets its own agenda, an executive who blurs the lines between business and private interests, unclear responsibilities and lack of accountability: these issues are nothing new in many companies and government offices. And there are specific guidelines how to deal with such issues – even if they do not involve the embezzlement of millions of euros. TI declined requests by CORRECTIV to meet and discuss the allegations. In its responses to written questions, TI says that it provided the employees with an independent lawyer and that there were no repercussions for staff. All the issues were resolved in accordance with German labour laws, it says. But TI also acknowledges deficiencies in the process. „We certainly recognise that there could have been greater clarity for staff on the processes and procedures to follow. These have been addressed.“ The organisation added in its statement that a lack of procedures did not result in a lack of whistleblower protection. Anna Buzzoni disagrees. She says the investigation was led by TI’s top management, which violated TI’s own rules on conflicts of interest. According to those, internal investigations need to be conducted by the supervisory board or the ethics council. Suddenly the report was to be shown to the line manager of the executive in question. TI’s asked for the whistleblowers’ consent on short notice just when they were on a long-planned business trip abroad. “With hindsight, I had the feeling this was no coincidence. Again and again there was a reason for why the investigation never really started,“ says Buzzoni. The investigation fizzled out after several weeks. According to Buzzoni, it was halted under the flimsy pretext of German labor law and data protection rules. TI said it had no access to the servers of WIN, which at that point had already been removed from TI’s offices. Instead, the whistleblowers were asked to present formal grievances with TI’s human resources department, Buzzoni says. That would have disclosed their identity. Buzzoni says that the whistleblower report had only one tangible outcome: a „tough talk“ with the executive. Otherwise nothing changed. For example, in one later incident, the manager allegedly tried to claim expenses while on vacation. TI’s leadership played the incident down at the time, arguing there had been a data entry mistake. Transparency says that any inappropriate actions by the manager had been dealt with. It says the entity established in the Netherlands had been one out of three options, but the proposal was never operative and did not receive funding. Buzzoni says that her efforts had consequences for herself. Two of her three project responsibilities were suspended during 2013. Both WIN’s small grants as well as its Latin America program were halted and she was left without some of her previous duties. At the beginning of 2014, her contract that was to expire in two months, was transferred from TI to the newly established WIN association in Germany. Buzzoni says that TI declined her request to keep her at the organisation. Buzzoni’s case serves as an example for many whistleblowers who weakened her opportunities by speaking out. Many put their career at stake. Companies have ways to wear employees down without firing them. Some whistleblowers have found themselves transferred to empty office wings, without phone and responsibilities. Isolated from their colleagues, until they resign. They can not find other work if their names are leaked to other employers in their industry. 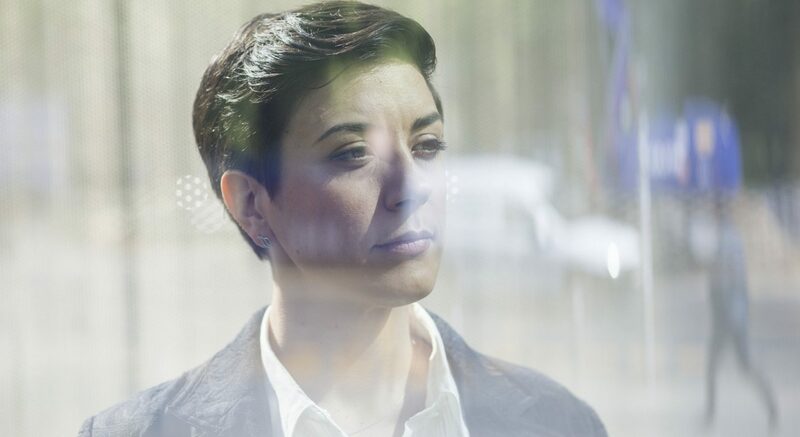 „Nevertheless, rather than being heard and praised for their courage, most whistleblowers face indifference or mistrust and their reports are not properly investigated,“ TI wrote in a 2009 report on whistleblower legislation in the European Union. The senior executive, who was formerly responsible for WIN at TI, continues to work for WIN as a consultant. TI issued whistleblower guidelines for its secretariat in June 2014. They include the provision of an independent, external ombudsman whom whistleblowers can approach and who passes information to TI top management without disclosing the whistleblowers’ identity. There are also clear deadlines for the subsequent steps. Just for Buzzoni and her colleagues, these guidelines came a few months too late. Disclaimer: CORRECTIV executive director Christian Humborg worked as executive director of the German chapter of Transparency International until fall 2014. Anne Koch, member of the CORRECTIV ethics council has been regional director for Europe and Central Asia at Transparency International since 2011. Neither Christian Humborg nor Anne Koch had anything to do with this story. Transparency International claims to lead the global fight against corruption. But there are gaping holes in the financial accounts of its own multi-million euro anti-corruption conference. In 2012, the event was held in Brazil and partly funded by German taxpayer money. Yet there is no comprehensive account for the event. Some corporate sponsoring was kept off-the-books altogether. Transparency International, the world’s leading anti-corruption organisation, is proud of its reputation. The organisation makes headlines when it denounces a country or a company for being corrupt. Just last month, it sent out another statement on football federation Fifa, calling for President Sepp Blatter to step down. But Transparency does not seem to apply the rules against which it measures others to itself. At least not to the financing of the International Anti-Corruption Conference (IACC). This conference, held every two years in a different country, brings together the world’s leading anti-corruption activists. It provides them with a forum to network and discuss strategies for preventing bribery. The basic principle is simple: all decisions need to be above board. Financial accounts need to be presented in a transparent and properly documented manner. But this is not precisely the case with Transparency’s most important conference. In November 2012, the IACC conference was held in the Brazilian capital Brasilia. Nearly two thousand participants from 140 countries took part. It cost over 3 million euros. The Brazilian Comptroller General provided the biggest part of the funding, paying 2.5 million euros. Other income came from participants fees, corporate sponsors and funding from the German government and the United Nations Development Program. But even though the conference costs millions of euro, Transparency International is unable to present comprehensive conference accounts. 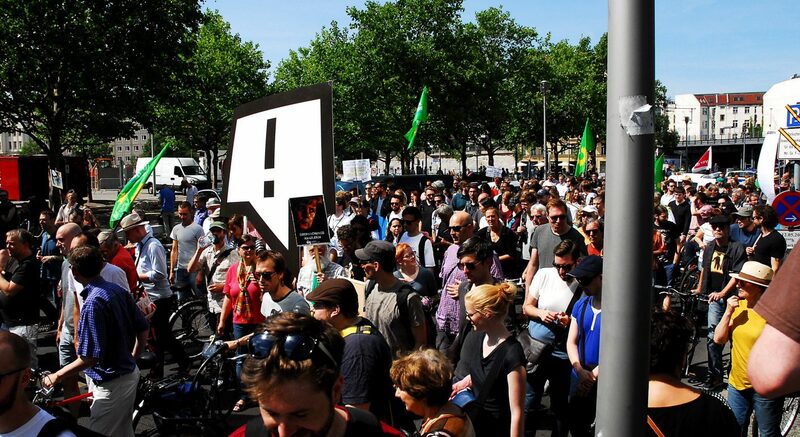 The organisation argues that the financial flow is spread over two different budgets: one for the local costs of organising the conference and one for the costs incurred at its global headquarters in Berlin, where TI staff design the conference program. But there was a third income stream, which does not appear on the books altogether. Both TI and Amarribo, the local TI representative in Brazil which helped to organize the conference on the ground, say that corporate sponsors paid money directly to an event company contracted by Amarribo, including for the conference’s social events. TI says that Petrobras, Brazil’s state-owned oil company as well as three banks paid a total of 155,000 euros to have their logos placed on the conference’s main stage. These funds were not included by either Transparency or by Amarribo in their conference accounts. 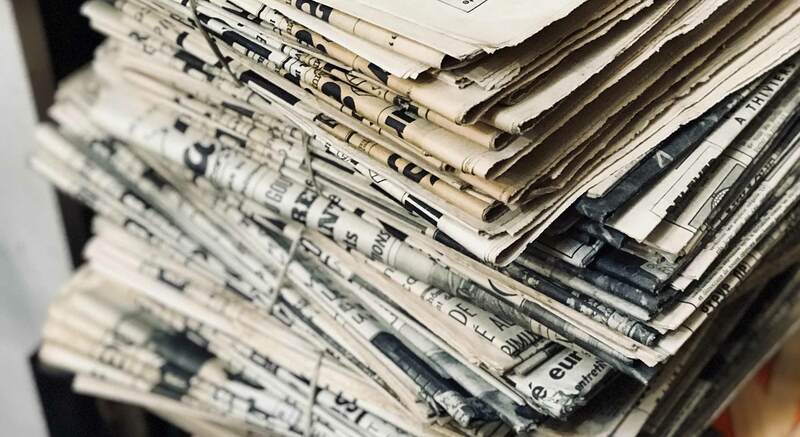 CORRECTIV in partnership with German business daily Handelsblatt has pieced together the IACC’s financial flows based on publicly available accounts and contracts, information provided by TI and Amarribo as well as government records obtained under Germany’s freedom of information law. The case is inevitably complex and full of details — as is invariably the case when transparent accounting is lacking. According to TI, the IACC in Brazil generated 291,000 euros in participants fees, which was split between the organisation and its local partner Amarribo, with TI receiving 219,000 euros. But in its 2012 financial report, TI did not include this income in the IACC account presented in the appendix. Instead, it accounted for this revenue as „other income“ in its overall income statement. Even deep inside the footnotes to the overall income statement there is no reference to the IACC. This means that outsiders are unable to retrace the source of these funds. This highly questionable form of accounting casts a deep shadow over funding the conference received from the German government’s development aid agency GIZ. The funding contract only lists two donors for the conference, the Brazilian government — through the country’s comptroller general — as well as GIZ. The Brazilian government was to pay 2.63 million euros and the German government 300,000 euros. There is a reference to further potential donors, but no mention of specific amounts. And there is no reference at all to corporate donors or participant fees. According to German government funding rules, only those events are eligible for funding that would not take place if it were not for government funding, or at least not in a satisfactory manner. This is why funding recipients are required to report additional funding to the government donor under the contract’s clauses. The clause is designed to prevent recipients of government funding making a profit at the taxpayer’s expense. The German government funding for the IACC in Brazil was earmarked for a number of workshops held within the framework of the IACC. But in Transparency’s report on its project expenditures submitted to GIZ after the event there is no reference to other income sources related to the event. Transparency admits that its financial reporting on the conference lacks transparency. This is due to the budget being split into the local component as well as its own reporting, the organisation says. But Transparency rejects the accusation that the organisation failed to report the conference’s additional income sources to GIZ to enable the donor to re-assess its funding for the conference workshops. Roberto Perez Rocha, the director of Transparency’s IACC program at the organisation’s Berlin headquarters, told CORRECTIV that as GIZ only funded one specific part of the conference that there had been no need to report the overall conference’s additional income. He says that Transparency informed GIZ by publishing the organisation’s financial reports. The organisation also maintains that the report complies with international accounting standards. Transparency also insists that it has made no profit from the IACC held in Brazil. 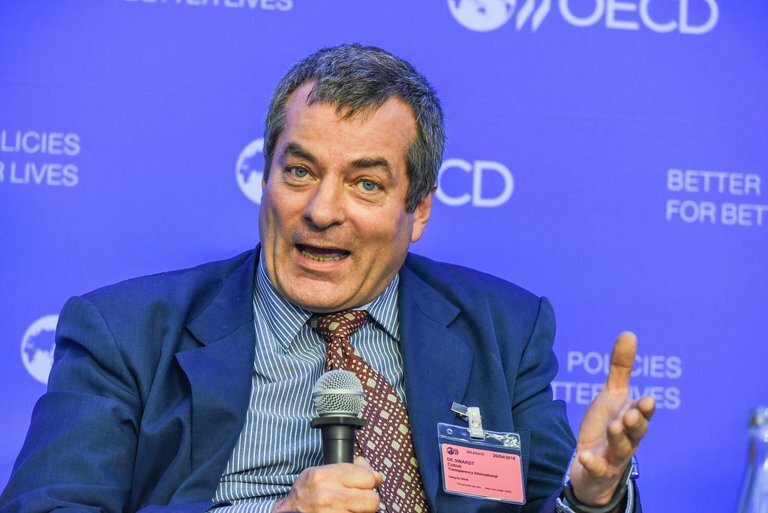 The participant fees accounted for in the general income were used to cover „indirect costs“ associated with the conference, says Miklos Marschall, the organisation’s deputy managing director. He did not further elaborate on these costs that so far have not been accounted for under the IACC accounts. Transparency promised to disclosed these costs, but so far has not done so. GIZ says it will let the matter rest. In a statement, the agency argues that Transparency was only obliged to report any additional funds for the workshops, not for the overall event. GIZ also says that according to Transparency the conference’s costs were higher than initially planned. There is, however, no trace of this in the documents reviewed by CORRECTIV. GIZ does not say when and in what form Transparency reported these additional conference costs. The reference to higher conference costs also contradicts GIZ’s own argument of only taking the workshops into consideration. And when GIZ does look beyond the workshops to the entire conference it does so only on the cost side, not on the income side. Funding experts asked by CORRECTIV said that purely based on the funding contract between GIZ and Transparency, GIZ has in fact no right to claim any money back from Transparency. The contract was signed only a few weeks prior to the conference. Funds had suddenly become available in the government’s funding budget. GIZ was looking for somebody to spend the money, a person familiar with the matter at TI said. Bottom line: when GIZ is funding parts of an event it does not matter if the entire event yields a surplus. This can hardly be squared with Germany’s general funding principles. Transparency has quadrupled its annual donor income over the past ten years. It now stands at 26.7 million euros. The organisation is seeking funding from corporations such as the Italian oil company Eni or accountants PriceWaterhouseCoopers. Critics say that some corporate donors are using the organisation to improve tarnished reputations. The same seems to apply for countries. For a few million euros, governments can acquire hosting rights for the IACC conference. The most recent event was held in Malaysia this month, whose prime minister is accused of embezzling hundreds of millions of dollars in public funds. Initially, Najib Razak was scheduled to speak at the conference. He would not have been the first controversial politician to appear at the conference. At the 2012 Brazil event, President Dilma Rousseff delivered the inaugural speech to the delegates. Rousseff chaired the supervisory board of state-owned Petrobras for seven years during the time when company officials and members of her political party were involved in a multi-billion bribery scheme. In this regard, the IACC principle calls Fifa to mind: whoever pays millions for the global anti-corruption festival, gets to host the conference. Transparency argues that there is no black and white in the fight against corruption. „We’re trying to promote dialogue, sometimes with the necessary amount of criticism as well“, says Perez Rocha on the IACC funding by governments with a poor anti-corruption track record. CORRECTIV and Handelsblatt have done extensive research on the accounts of only one of the IACC conferences. There is even less transparency on other. For the event held in Thailand in 2010, Transparency presented a Thai-language document as the conference audit. The document, however, contains only one budget line on an unspecified conference (marked with an asterisk). The IACC’s next host will be Panama, still an important off-shore tax haven. But for the time being, Transparency will need to be busy with its own books. We are publishing documents relevant to the investigation here. The linked documents contain our explanation of the most significant points. An investigation by CORRECT!V and German business daily Handelsblatt has unearthed gaping holes in the financial reporting of Transparency International. TI has been organising its International Anti-Corruption Conference (IACC) without proper accounting. Sponsors' fees paid by corrupt companies have been kept off-the-books. In one case, Transparency presents a Thai-language document with little relevance to the IACC as a conference audit. In this article we document both our research and also the crucial questions that remain unanswered. By documenting our investigation step by step, we also would like to show the kind of results that can be achieved using information solely in the public domain. And we wish to highlight the questions that still remain unanswered. We will continue to ask these on Twitter under the Hashtag #anticorruption. This is all we have when we decide to dig deeper. We start by scrutinizing the website of the IACC. We notice that there is no legal notice. No website credits. This means that the IACC has no legal entity. From this point on, we know there is a story in the conference. The event has a turnover of several million euros each time it is held. Several partners play a role. But without its own legal form, there is no clear responsibility. This fits with our early picture of the organization. While investigating the Water Integrity Network, a former program of TI, we had also noticed a surprising lack of basic corporate governance and internal accountability. We also notice that several politicians with poor reputations have spoken at the IACC. For example Brazilian President Dilma Rousseff at the IACC in 2012, which was held in Brazil. She chaired the supervisory board of state-own oil firm Petrobras at a time when a multi-billion bribery scheme existed at the company. Illicit payments reached Rousseff’s party. In September, a senior party official was was sentenced to 15 years in prison for his part in the scheme. We’re are studying the financial reports published by TI, reading every single line and footnote. We’re scrutinizing the IACC audits that are published on the Internet. The documents are in local language such as Portuguese or Thai. We’re reading the MoUs that were signed between the host government, Transparency and a local partner organizing the logistics on the ground. We struggle to make the numbers add up. The MoUs say the host government will pay several millions to finance the conference. But only a few hundred thousand euros can be found in TI’s financial reports. How has the remainder been accounted for? What has that money been spent on? There is no information on that. We notice on the IACC website that Petrobras, arguably one of the most corrupt firms in the world, sponsored the IACC held in Brazil. There are also a number of Brazilian banks that have sponsored the IACC. But nowhere in the books can we find any reference to this sponsoring. We spend several weeks trying to understand the publicly available information, reading every footnote, before we approach TI with questions. We think this is important during investigations so that the organization in question is forced to take us seriously. This also allows us to evaluate the response and detect misleading information. We submit a first set of questions. The response confirms our suspicions. Transparency does disclose certain information, such as how much Petrobras supposedly paid for its sponsorship. But TI does not provide us with any comprehensive conference accounts. The information provided by TI cannot be verified. Instead, new questions arise. In 2010, the conference was held in Thailand. TI presents a Thai-language document as conference audit. One CORRECTIV editor happens to read Thai. The document contains no reference to the IACC. There is only one budget line referring to the holding of an international conference (see the picture above). When CORRECTIV points this out, Transparency tells us it has requested additional information from their local partner in Thailand. The longer this goes on, the more we gain the impression that Transparency does not in fact have comprehensive IACC accounts in its possession. The money flows are so opaque that we decide to focus our efforts on just one event. This is an important decision during most investigations: focus on one case study to illustrate structural issues. We chose the even that was held in Brazil. We exchange emails with Transparency over several weeks. It is an arduous process. We think a meeting would be more efficient and we ask for it several times. The office of the international secretariat is just a few miles from CORRECTIV offices in Berlin. But remarkably, TI turns down our requests for a face-to-face meeting. We’re beginning to wonder if the organization has something to hide. We realize that the Portuguese-language document presented as the conference audit for the event held in Brazil is only one out of a series of documents. We find the remaining documents in Brazil and have them translated. Meanwhile, TI says it has received additional information from Thailand. 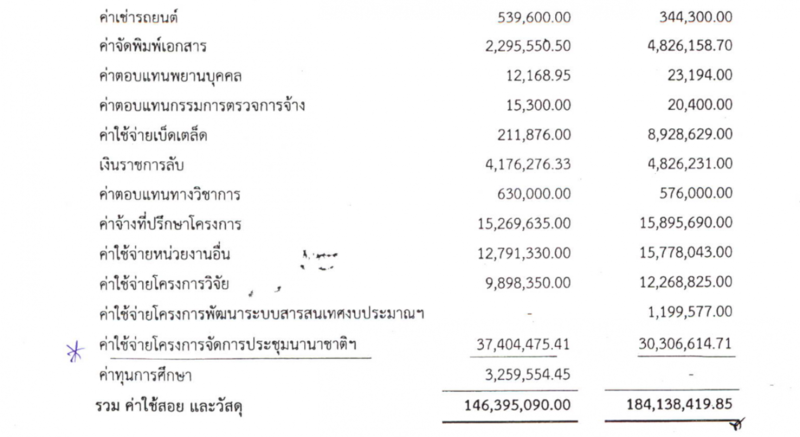 But it only re-sends the Thai-language audit document that was publicly available from the very beginning. We’re puzzled. In one of our emails to TI, we get a number wrong. 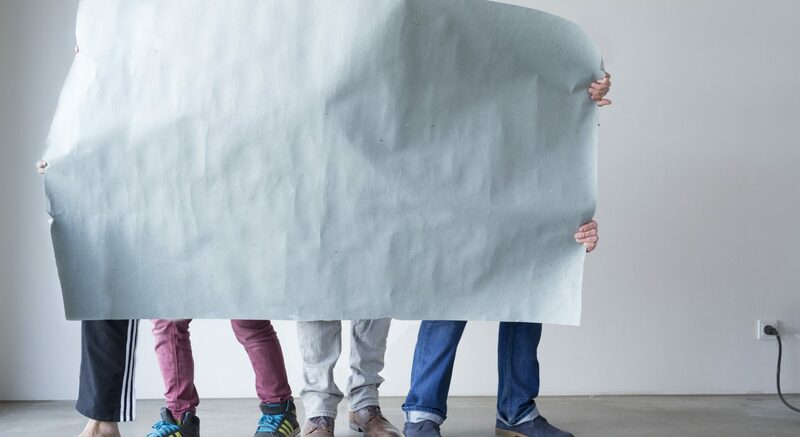 Transparency says in its financial reports that it has received 700.000 Euro from its Brazilian conference partner to cover the costs of designing the conference program at its Berlin headquarters. In one of our questions, we by mistake count the money twice and write 1.4 million euros. TI says this number is wrong, saying that the organisation has received 950.000 euros from its local partner. We’re very puzzled now. So far, Transparency has disclosed only 700,000 euros. Sometimes it helps to cite a wrong number to get the right information. But where are the additional 250,000 euros accounted for? What exactly is this income? Why has it not been published? In between, something curious happens. The 2.5 million euros conference funding by the Brazilian government was paid by the Brazilian comptroller general to the local partner of Transparency who then passed on 700,000 euros to Berlin. We’re asking Transparency to confirm it has not received any money directly from the comptroller general. TI confirms. “Then why is the comptroller general listed in your 2013 financial report?“ The line contains no amount. “This is an unfortunate mistake, which we are going to correct.“ Later, the entry as well as several other donor entries without amounts are in fact deleted from the financial report. This points to the financial reports being done in sloppy fashion. In particular as the 2013 report must have been written about 18 months after the conference. By then, TI should have been clear about who funded the conference. Have there been other indirect money flows as was the case in Brazil, we wonder? We increase the pressure on TI. We really would like to meet to have time to go through all the numbers. It could very well be that we are simply not grasping the money flows. Finally, TI agrees to let us speak to its accounting department. But only over the phone, not face-to-face. It’s a short call wrought with tension. What about the additional 250,000 euros from Brazil? These are participants’ fees, TI says. So where are they accounted for? The response is remarkable. This income has not been accounted for in the IACC project account, but in the other income line of the overall budget, TI says. Even in the footnotes there is no reference to the IACC. We ask for an explanation but none is forthcoming. We end the call. TI agrees to let us speak with Roberto Perez Rocha, the head of its IACC program. But once more only over the phone. But we insist. We would like to speak face-to-face. Hours before the meeting, TI almost begs us: „Please do not come to our offices.“ We reply: „We will pass by. Feel free to send us away.“ In that case we can have the call from our mobiles standing in the building lobby. We are let in. It’s a fruitful conversation, Transparency discloses a lot of additional information. TI says it has also realized that the IACC accounts lack clarity and that the organization plans to publish all data. But new questions emerge. We ask why Transparency allows corrupt companies such as Petrobras to sponsor its events. One answer: the corruption scandal engulfing the company today had not been known at the time. We continue to press. Even in TI’s own rankings, Petrobras had poor marks at the time. Another answer: Neither TI nor the local partner ever received money from Petrobras. We’re stunned. Who received the money then? The answer: it was spent directly on social events during the conference. So there have been funds, 155,000 euros according to TI, that have been not accounted for at all. Were any other funds dealt with this way? Who benefitted? Who was responsible? Was this a slush fund? The German aid agency GIZ funded the event in Brazil to the tune of 300,000 euros. According to Germany’s general funding rules, the government is not supposed to fund events that turn a profit. Did TI account for the participant fees from Brazil under its general income statement to hide profits? We would like to know the exact legal clauses of the German government funding. It is common for participant fees to considered as part of any conference income. Through a freedom of information request (FOI) we obtain the funding contract between TI and the GIZ as well as the report on how the money was spent. In fact, TI has not reported the additional income from sponsoring and participants’ fees to GIZ. But what does that mean in light of the legal clauses set out in the contract? We consult two experts. Both say the contract has been designed in a way that the additional funds do not need to be taken into consideration. That is because the money paid by GIZ was specifically meant to fund only a number of workshops at the conference, not the conference altogether. We have sent many questions to GIZ, which went unanswered. The agency largely kept repeating its legal position on why it will not request any funding to be returned. We’re already in in late-September. By now, colleagues at Handelsblatt have joined our research. Transparency offers another meeting. We insist on finally meeting with top management. The meeting is attended by Miklos Marshall, TI’s deputy secretary general. There is still no explanation for the way the participant fees from the Brazil event were accounted for. But yet TI insists it has not made a profit from the event. How does that square, when the participants’ fees are not included in the project account? TI suddenly says it occurred additional „indirect costs“ related to the conference, which it did not disclose in the IACC account. This sounds like it was made up on the spot. We take it seriously nevertheless and ask for a break-down of the costs that occurred at the Berlin headquarters. TI promises to send us the data. We have not received it until today. Transparency has applied the tactics used by large companies covering up internal issues. It has provided information very slowly at times or information that was misleading. But by providing information bit by bit it can later claim internally that is has cooperated. TI also admits a small issue in order to hide a larger one. It says its IACC accounts lack transparency. It also says its financial reports comply with international accounting standards. But external accountants can only verify information presented to them. They cannot scrutinize money that has been kept off the books. And do they read Portuguese and Thai? Finally, we also would like to document the questions that our investigation has not been able to answer. We will continue to press TI, using the hashtag #anticorruption. why was sponsoring income in Brazil not accounted for? was this a slush fund? was there a similar flow of money at the other IACC conferences? who benefitted from this money? what did this money pay for? why were the participant fees from Brazil accounted for in such an opaque way? were there any clauses in the funding received, such as from the Brazilian government or the UNDP, that tied the funding to the conference not turning a profit? does any money need to be returned to donors if it became known that the event in Brazil yielded a surplus? how do the accounts look like for the IACC conferences held in other countries? what was money spent on? who benefitted from the money? has any other IACC conference turned a profit? TI deleted the Brazilian comptroller general as a donor from its 2013 financial report because the money was paid through another party. Other donor entries with nil amount have also been deleted. Did these donors also pay money to TI through third-parties? Where is this accounted for? Fifa vice president Sheikh Salman Al-Khalifa narrowly missed being elected as Sepp Blatter’s successor in February. He would hardly have been the right man to clean up the corruption-ridden sports body. In his home country, he publicly backed a financial fraudster who is wanted by Swiss authorities. Ahsan Ali Syed has been sought after for almost ten years now. At first, troubled firms from around the globe were lining up to take loans from his Bahrain-based investment firm Western Gulf Advisory (WGA). Today, Swiss prosecutors are looking for Mr. Ali Syed. Many of his would-be customers paid advance-fees to obtain the loans they never received. Ali Syed remains in hiding. One trace is leading to Bahraini sports official Sheikh Salman bin Ibrahim al-Khalifa. Sheikh Salman lost the elections for the Fifa presidency on 26 February 2016 to Gianni Infantino, who himself has lost much of his credibility in the few months since the elections. The Panama Papers revealed that during his time at UEFA, Infantino signed contracts with an offshore company belonging to two business men charged by US law enforcement. This casts the light onto the runner-up Sheikh Salman, who narrowly lost out to Infantino by three votes during the first round of voting. Sheikh Salman is head of the Asian Football Confederation (AFC) and Fifa vice president. He might well aim for the top job again. But his efforts to speak up for the alleged fraudster Ali Syed, that have gone unnoticed so far, could stand in the way. Sheikh Salman is a cousin of the king of Bahrain. The royal Al-Khalifa family dominates politics and business. Bahrain is home to one of the Middle East’s most important financial centres. Its liberal regulations have attracted money from across the oil-rich Gulf region. For many years, visitors got the slogan „Welcome to business-friendly Bahrain“ stamped into their passports. But a number of fraudsters have also been able to do business from the island thanks to their ties to the royal family. To Ali Syed, Bahrain was a safe haven, and appears to still be so. Ali Syed appeared in Bahrain around the year 2008. He launched a sophisticated publicity campaign, portraying himself as a solvent billionaire with a private jet that took him and his bodyguards around the world. Ali Syed styled himself as a horse lover, much like many of those in power in the Gulf region. The head of a horse forms part of the logo of his WGA firm. His best argument is his supposed capital: the 2009 WGA annual report claimed that 850 million US-Dollar were available for investments. Ali Syed’s scheme: as the financial crisis squeezed liquidity in Western banks, he offered loans to desperate businessmen, against an up-front fee. The customers transfer the fee to WGA accounts, including at Credit Suisse in Switzerland but never receive the promised loan. Prosecutors in Zurich estimate the damage to be in the double-digit millions. In Europe, meanwhile, Ali Syed styles himself as a savior of troubled football clubs. In summer 2010 he attempts to buy Premier League club Blackburn Rovers for about 300 million British pound. But the BBC investigates the supposed buyer and on 30 August 2010 publishes a report about Ali Syed’s poor payment record in the UK. The reports details unpaid legal fines as well as tax and rental debt from the early 2000s, putting the first scratches to the carefully crafted image of Ali Syed. The Blackburn Rovers deal fell through. Undeterred, Ali Syed tried his luck in Spain. In January 2011 he bought the club Racing Santander. Fans cheered him as a savior during his first visit to the club stadium. But Ali Syed never paid bills or wages, and a local court later awarded the club back to the previous owner. At around the same time, Ali Syed’s victims were beginning to demand their money back. Private investigator Mark van Leewarden told media in April 2011 that he had obtained a freeze on WGA’s accounts at Credit Suisse in Zurich on behalf of clients from New Zealand, Australia, Ireland, Italy, Brazil and the US. In May 2011, the bank reported the accounts to Swiss authorities under anti-money laundering regulations. Prosecutors began their investigations. One of the victims who is speaking out in public is Keith Johnson, a property developer from Australia. He paid 3.6 million US Dollars in advance fees to the fraudster but never received anything in return. At the end of 2011 a private court of arbitration awarded him the funds. Making headlines in international media, Johnson travelled to Bahrain in early 2012 to meet prosecutors. Just when Ali Syed’s creditors were beginning to put pressure on Ali Syed in Bahrain Sheikh Salman publicly took the loan fraudster’s side. In April 2012, the official news agency BNA published a statement by Sheikh Salman singing the praises of Ali Syed. Sheikh Salman said WGA was fully trustworthy and praised the efforts of the company for Bahraini football. Sheikh Salman had been head of the Bahraini football association since 2002. The news agency BNA is a key tool of Bahrain’s autocratic rulers. This is where members of the royal family make announcements that the next day are printed in the government controlled press. This is where they make clear who is part of their inner circle and who is not. Sheikh Salman’s statement was a well-placed message to clients and business partners that Ali Syed would not be dropped. „We would like to expand our work with WGA, open up sponsoring in new fields and enter into bigger partnerships“, the news item reads. Mr. Ali Syed proudly presents the Bahrain national jersey with his company logo. The ruling Al-Khalifa family controls sports in Bahrain, its members are heading the most important associations. Ali Syed backed this system by sponsoring the family’s sports projects, including Bahrain’s national football team. Horse racing with the royals, visits of Bahrain’s formula 1 track, beach soccer matches – Ali Syed used every opportunity to document his involvement with the royal family. 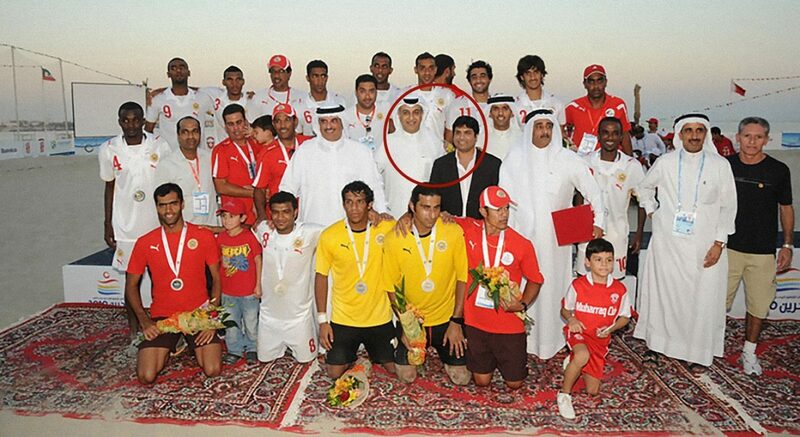 On a group photo from the year 2010 Sheikh Salman is putting his arm around Ali Syed’s shoulder. This is one of the pictures Ali Syed’s firm WGA published on its website. 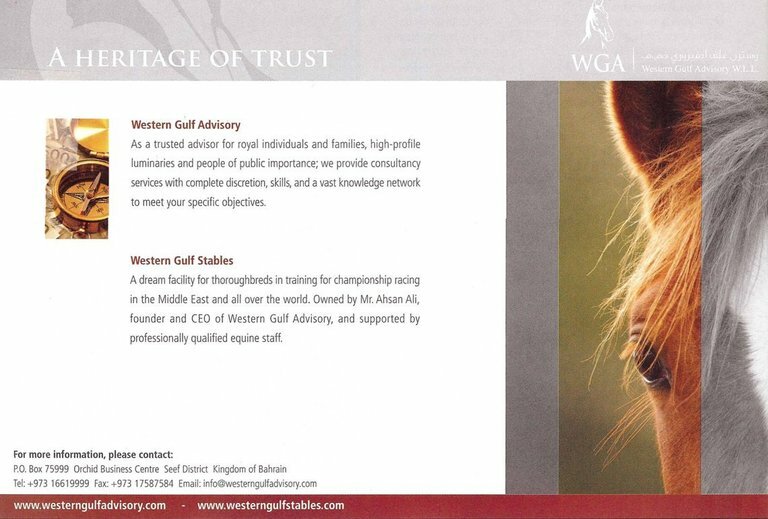 In ads taken out in inflight magazines WGA portrays itself as a „trusted advisor for royal individuals and families“. Mr. Ali Syed’s firm documented its involvement with royal families in this advertisement. This was in March 2011. At this time the Arab Spring had already engulfed the country. Protesters were being shot in the streets. Ali Syed did not care about Bahrain’s poor human rights and press freedom record. At least until the summer of 2012 members of the royal family were attending public events with Ali Syed. At a time when creditors had already filed claims against the fraudster in local courts, Sheikh Salman attended a reception where Ali Syed was present. A Bahraini club he sponsored had just won the Gulf Champions League. Sheikh Salman declined to detail his relationship with the fraudster. A spokesperson for the government of Bahrain did not respond to a list of questions. The whereabouts of Ali Syed remain unknown. Prosecutors in Zurich are still investigating. Ali Syed’s links with Bahrain’s royal family suggest that he is hiding in the Gulf country. As late as March 2015, the BNA news agency listed him as the owner of a race horse. But it is hard to verify the assumption of many that Ali Syed is in Bahrain as the country does not allow entry to international journalists. Much like Fifa, the Al-Khalifas do not want any scrutiny of their business. This story is a joint investigation of the German non-profit newsroom CORRECTIV and Swiss magazine Der Beobachter.